Cutting the Budget: Week 41 – Free but quality books! Cutting the Budget: Week 40 – I finally spent book money in September! 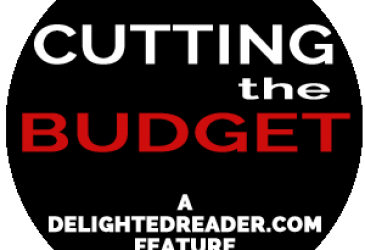 Cutting the Budget: Week 39 – Gotta free book! Cutting the Budget: Week 38 – Nothing spent, but watch out for next week! Cutting the Budget: Week 37 – Keeping my money close to my pocketbook! Cutting the Budget: Week 35 – Under budget again! Cutting the Budget: Week 34 – Reading what I already bought! Cutting the Budget: Week 33 – Spending again on favorite authors! Cutting the Budget: Week 32 – Splurging on a favorite author! #KindleUnlimited! Cutting the Budget: Week 30 – Still no book buying going on as I catch up! Cutting the Budget: Week 29 – I finally bought a book! Cutting the Budget: Week 26 – Half way there…oh, oh, living on a prayer!